The Saudi Arabia Police is responsible for the maintenance of peace and order throughout the country. The Police force in Saudi Arabia was formed under the rule of the first king, Abulaziz but was not really an organized body as it is today. In addition to the police, the responsibility for the maintenance of law and order was also shared by the Shaykhs of the tribal groups. This power was granted to them by the King of Saudi Arabia. They even had the power to punish offenders of the civil law. The police force of Saudi Arabia is known as the Public Security Forces. This force can seek help from the military forces in times of need. 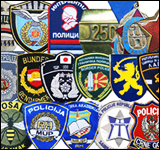 Around the beginning of the 1960s, significant changes were made to modernize the police forces. The steps included providing the police men with radio communication equipments as well as new vehicles. 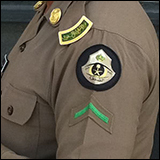 Increasing number of natives were recruited in the Saudi Arabia Police force and the forces were distributed all over the nation. The Police Force in Saudi Arabia is segregated into two distinct divisions. There is the usual Police security force and the other one is the Investigative Police Force. The later is responsible for handling investigations of criminal cases and works under the Directorate of Investigation. They are also known as the Secret Police. There is yet another kind of Police force in Saudi Arabia, the Religious Police. There are several groups operating these forces. The Religious Police of Saudi Arabia are maintained to ensure the strict assertion of Islamic code of conduct throughout the nation.